A Conservator is an individual appointed by the Probate Court to manage an incapacitated individual’s financial affairs. Many times, someone will need a Conservator because they did not plan for incapacitation or prepare a Financial Power of Attorney. Other times, the planning may have occurred so long ago that a financial institution does not feel safe recognizing the Power of Attorney that is in place. 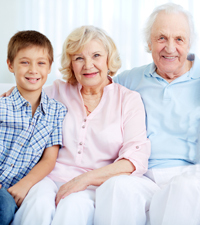 The elder law attorneys at The Elder Law Firm PC have seen the need for a Conservator arise in many people’s lives. Even clients with their Financial Powers of Attorney in place, there are circumstances where clients were refused access to their money when they needed it most. The most important thing to recognize is that the need for a Conservator is an everyday reality. With Americans living longer and the rise in Alzheimer’s and Dementia diagnoses striking our retirees, families who believed that they had time to plan end up needing to go to Probate Court immediately and waiting for help. 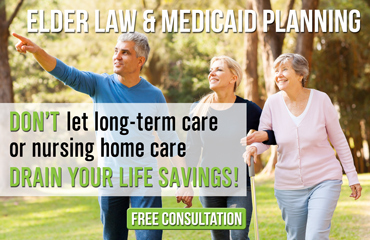 The expert attorneys at The Elder Law Firm PC are ready to start helping those families today by making this transition easier. Although an attorney is not required for filing a Petition for Conservatorship, many seek the assistance of an attorney to ease the burden and confusion of going through Probate. Over the years, we have helped many families avoid the need for a Conservator by urging families to plan ahead and update their Powers of Attorneys today. However, estate planning laws are constantly changing. The only constant thing in this world is change. If you made a Power of Attorney prior to 2000 and it has not been updated, it may be prudent to reevaluate your Estate Plan. What worked in 1995 may not work today. Even if your Financial Power of Attorney hasn‘t been affected by changes in the law, it can never hurt to update the document and make your intentions known as of 2011. If you or someone in your family is facing an early diagnosis of Alzheimer’s or Dementia, the need for a Conservator may be present but not immediately necessary. We meet families for the first time without any charge because we believe you need to know your options prior to paying for any legal services. There are criteria that must be met in order for a Financial Power of Attorney to be drawn up. If you can still indicate your intentions, regardless of what others say, you may still be able to document those intentions with a Financial Power of Attorney. If you wait, however, you are at risk of being subjected to a lengthy process whereby the court may appoint a Conservator who may not have been your first choice if you had drawn up a Financial Power of Attorney. As elder law attorneys working primarily with retirees, this issue is apparent in every case we evaluate. You can count on the attorneys at The Elder Law Firm PC to provide honest answers, even if they are not pleasant to give. Waiting to take charge of your financial affairs today is like waiting to have someone make a decision for you tomorrow. Every day you wait is another day that nothing gets done. Taking the time to plan today could save you and your family a lot of time and money in the future.